Shirly is amazing. I felt very comfortable with her since i met her. She has the peaceful vibe about her that makes you feel at ease. 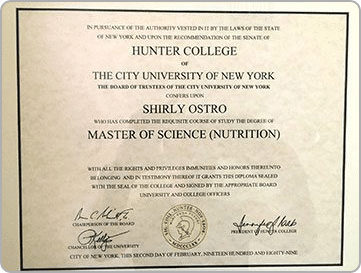 She is holistic practitioner using tools like hypnosis, mindfulness, behavior therapy, homeopathy and nutrition. She has taught me how a few minutes a day of meditation makes a difference in your everyday life. Thank you for taking me to the Swiss alps from just lying in a chair! 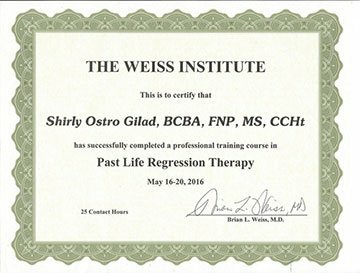 Shirly Gilad is a great practitioner. Really listens, really gives effective answers. 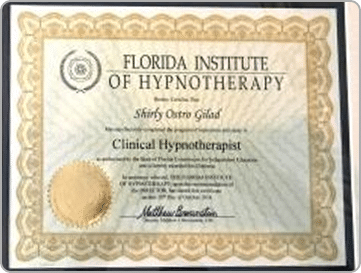 Her hypnotherapy style was what i was looking for, which wasn’t easy to find – it has been very helpful for me in a lot of ways. She follows up with any questions I have and is very proactive with getting everything right. Highly recommend her for anyone looking for a VERY good therapist!! 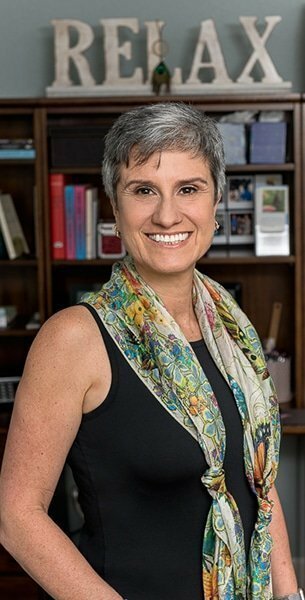 Thanks Shirly, for everything! I was recently introduced to Shirly through a longtime friend. 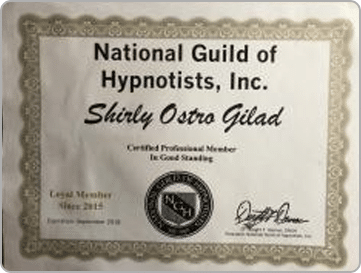 I have been fortunate enough to see her for several hypnosis sessions. From the very first one, I saw fantastic results. I was looking to get back into a good routine with my eating and working out at the gym. Shirly not only takes you on a fantastic journey of relaxation, but from there she gets into your subconscious mind. This is where the changes happen. Following each session she sends you a recording of your session that you can listen to daily to keep you moving in that direction! 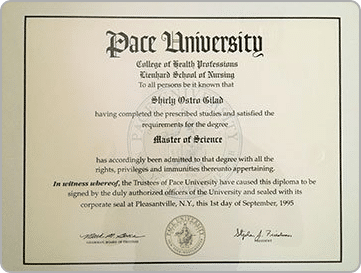 With each visit Shirly asks what you would like to work on and takes you on a new and exciting journey! I have not only learned to drive with my left leg, gotten a new car (I am a recent Right Leg Amputee and hadn’t driven in almost a year), and now I am soon to be closing on a Ranch home with a garage, moving from my current 5th floor Condo ( a challenge, particularly when the elevator is out). I look forward to my next visit to continue adding on to what I want to achieve/bring in to my life. 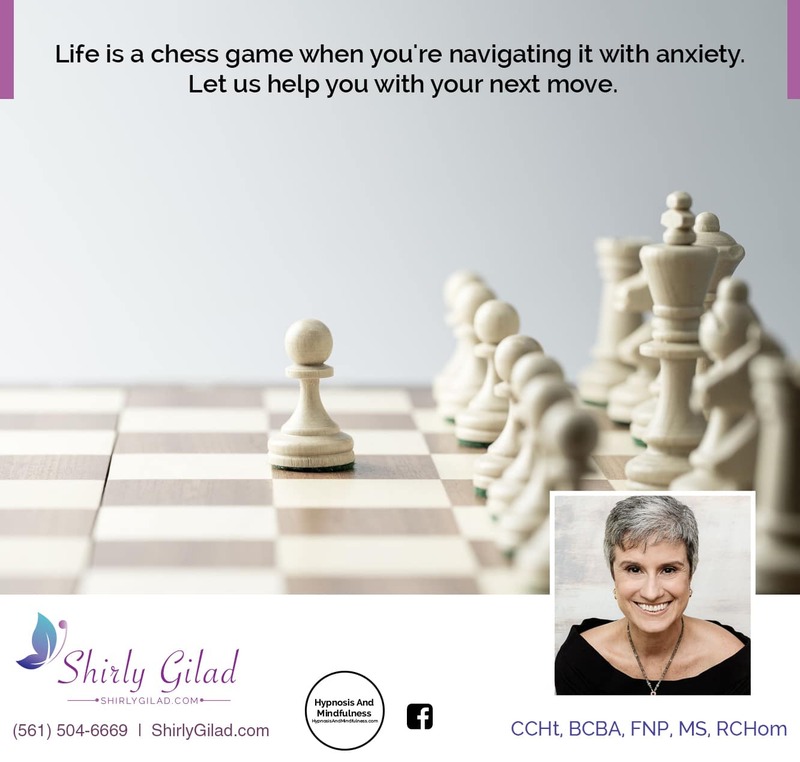 Shirly is a true healer and gem! “It’s your movie, what do you want in YOUR life? “I am so happy that I found out about Shirley. She is an amazing person. I took her Mindful Eating 6 week program. I am amazed how much I learned from her. . I loved everything we did including the discussions and camaraderie among our group about our individual problems and/or needs; Shirley’s compassion; the meditation we did; the learning about mindfulness (which I desperately need to practice) and Shirley’s vast knowledge about proper nutrition. I came away with much more than I thought I would and the icing on the cake lol (not really) was that I lost 7 1/2 pounds. 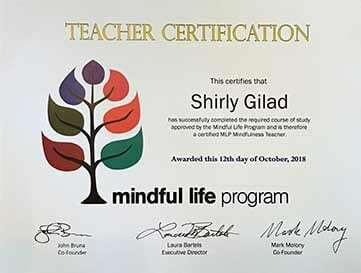 I can’t wait to come back to Florida to attend another of Shirley’s mindfulness classes. 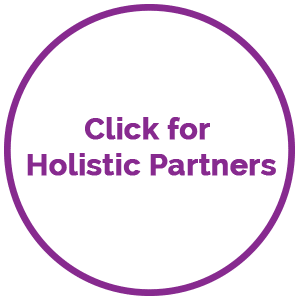 I found that this mindful approach to weight loss was a real positive way to handle food and eating. Weight loss as a byproduct of a lifestyle mindset was new to me and I found it a great influence. 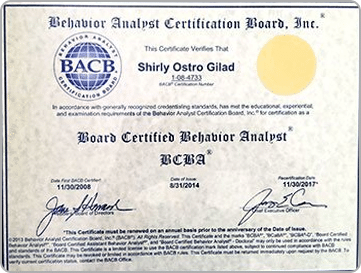 I was mindful of what was going on with me and around me and not locked into statistics i.e. calories, points, etc. It removed a lot of stress and enabled me to focus on being aware of what was going on with me and around me. 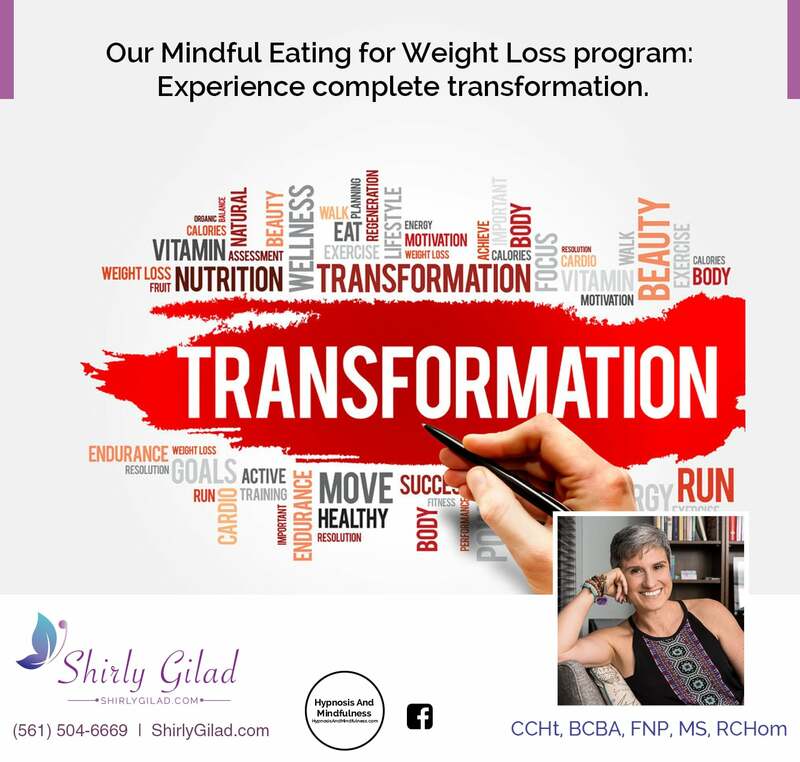 Shirly Gilad has taught me so much about nutrition and health in her Mindful Eating for Weight Loss group. Especially helpful have been the guided meditation recordings. I am trying to incorporate them into my everyday routine as I find it so beneficial. Cutting out sugar was a little hard at first, but it only took a few days and now I don’t crave it at all. Taking stock to actually think about what I am putting into my body rather than mindless eating has made a huge difference in my life. I have lost some weight and more importantly, I feel better about what I am doing and the choices that I am making for my health. I will be eternally grateful to Shirly. For the last twenty years I’ve had insomnia. I averaged about 3 hours of sleep each night. Then I met Shirly who changed my life. 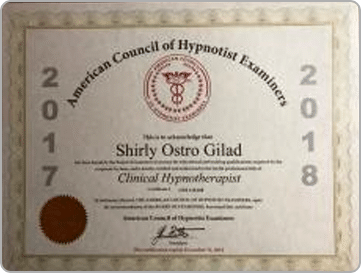 It was through hypnosis and her guidance I received from her, I am now able to sleep between six and seven hours a night. I can now function better all next day. Thank you Shirly, thank you, thank you.